Two corrections to the 2018 Third Quarter issue of the Philatelic Literature Review have been brought to the attention of the American Philatelic Research Library. Both appeared in the “New Books Noted” section of the issue. The first (page 204) under the title of “Austria” is a book by Alessandro Piani titled 1867-1884 La VI Emmissione D’austria Nel Litorale Austriaco (Kuestenland) 150th Anniversario 1867-2017. 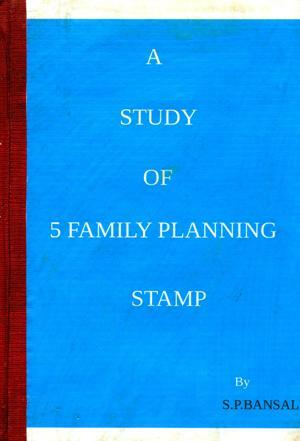 The publisher of this title was incorrectly identified as Vaccari. 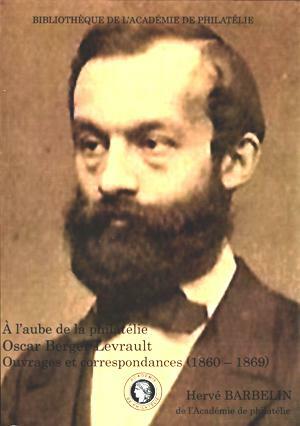 The book is however available through Vaccari as indicated in the listing. 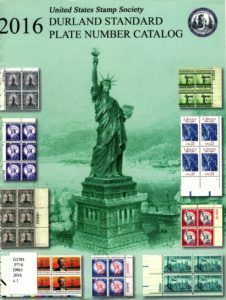 One of the challenges for non-U.S. worldwide postal stationery collectors is finding a reliable catalog for all types of postal cards, letter cards, envelopes, letter sheets and other stationery items officially produced by worldwide postal entities. 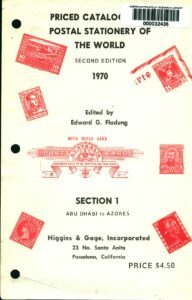 Often postal stationery listings and values can only be found in specialized catalogs for a specific country meaning that for the worldwide collector a fair number of specialized catalogs would need to be consulted when researching a collection. 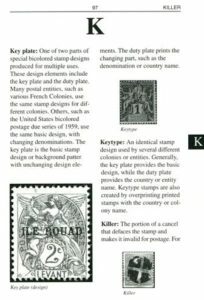 There are just very few resources that include in one place listings and catalog information for worldwide postal stationery. APRL new acquisitions for August 2018. To request loans, copies, or scans, or to search our catalog, visit the APRL website. 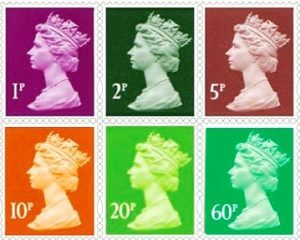 “Any Colour You Like” is the title of a memorable song from a timeless album but in philately one of the trickiest and most challenging aspects of the hobby that can change a stamp from regular to rare is the particular color or hue of a given issue. The color of stamps is a hotly debated topic in philately among collectors as one shade of difference can have a tremendous impact on a stamp’s identification and thereby value. APRL new acquisitions for June 2018. To request loans, copies, or scans, or to search our catalog, visit the APRL website. APRL new acquisitions for May 2018. To request loans, copies, or scans, or to search our catalog, visit the APRL website. Here at the American Philatelic Research Library (APRL) the most common resources used or cited when researchers consult the library for their collecting needs are often either books or journals which comprise the majority of the library collection. 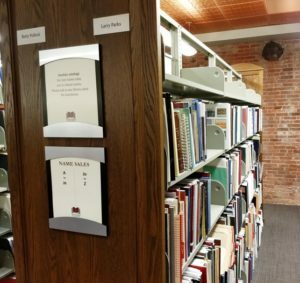 Book titles detailing all aspects of national, state and local philatelic interests can be found on the first floor of the APRL’s public space, while journals dealing with worldwide interests are located on the second floor. 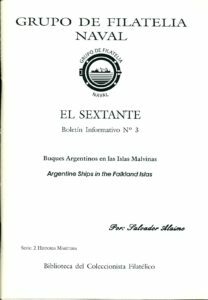 But in the over 30,000 titles and 80,000 individual items that comprise the APRL holdings there is a small resourceful collection of materials which are a subset of the APRL’s vast collection of auctions catalogs, specifically name sales. Names sales are, as the title suggests, auction catalogs in which a particular or noteworthy collection is up for sale and the auction house has designated the sale by using the collector or the collection’s name. 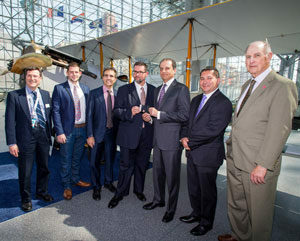 BELLEFONTE, PA — The American Philatelic Research Library (APRL) announced today they have reached agreement with Robert A. Siegel Auction Galleries to sell a recently recovered Inverted Jenny stamp. The stamp, Position 76 of the famous McCoy Block, stolen in 1955 at a stamp show in Norfolk, Virginia, was recovered by the APRL at a public event in June 2016 during the World Stamp Show-NY 2016. 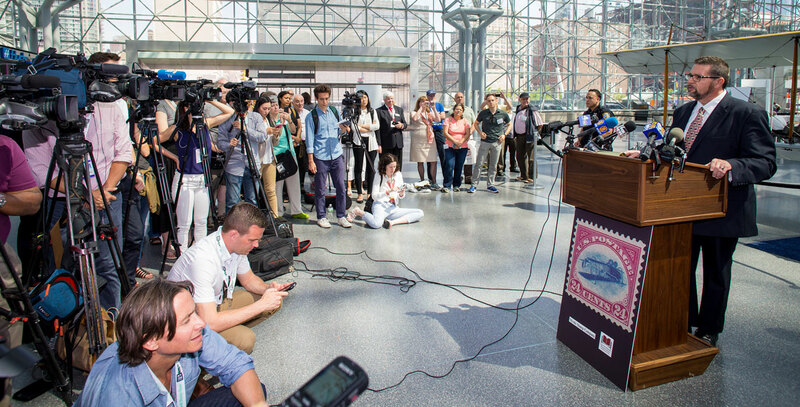 The press event for the recovery of the stamp at World Stamp Show-NY 2016. 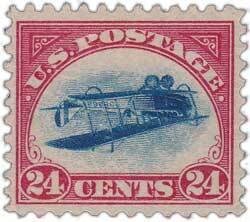 The return of the stamp in front of the biplane at World Stamp Show-NY 2016. Proceeds of the stamp, expected to sell between $150,000 and $200,000, will go toward the APRL’s new library facility in Bellefonte, PA. The $4 million library was completed and opened in October 2016. The facility spans 19,000 square feet in space at the American Philatelic Center and it is the world’s largest philatelic library. 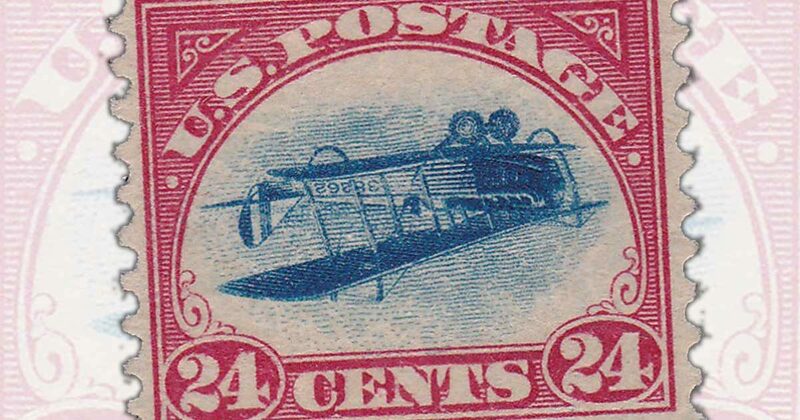 More information about the APRL is available at www.stamplibrary.org and you can also visit www.InvertedJenny.com to learn more about the Inverted Jenny stamps.